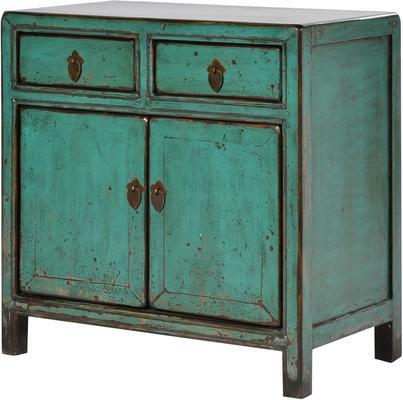 Beautifully designed, this Distressed Cupboard in Turquoise makes quite a statement. Handmade by expert craftsmen, this cupboard is painted in a lovely turquoise shade. It's been sanded down and fully distressed to echo a vintage, country charm. The drawer is made with two drawers as well as two cupboards. Use this for organising kitchen or dinner items. The drawers would be great for cutlery while the cupboard and store plates, pots, pans and of course, cups! 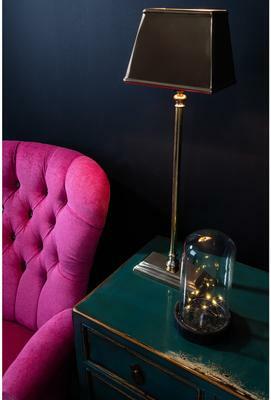 Use this inside your dining area or maybe in your kitchen. You can also grab the matching sideboard to create a complementary look to your space.